Order a number portability and convert your Spanish fixed line into a Telsome VoIP number. It is the process used to keep your existing phone number when you change your service provider. ¿Can I port my fixed phone number with Telsome VoIP? Yes, you can port your existing phone number to Telsome's VoIP service. Using VoIP or traditional telephony does not affect probabilities. 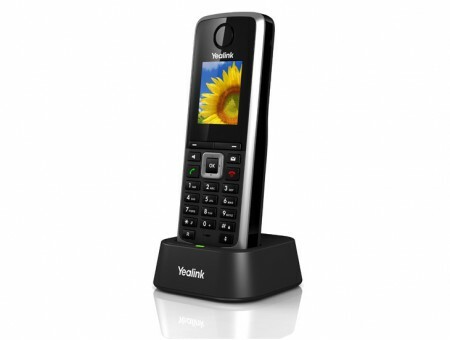 You can switch from one kind of telephony to the other without any problems. ¿What kind of numbers can I port to Telsome? You can port with us Spanish fixed phone numbers and with the 902 prefix. We work only and exclusively with fixed phone lines. ¿How much does it cost to port a number to Telsome? It´s completely free. Porting your existing phone number has no charge. We just charge you for each phone number you have with us, no matter if it´s a new one or if you have done portability. ¿Is it possible to port a phone number from Telsome to a traditional service provider? Yes. If at any point you want to go back to a traditional phone provider you will be able to take your phone number with you. ¿Do I have to call my current service provider to port my phone number? No. We take care of your portability. There is no need to call your current provider. ¿Am I going to be without phone service during the portability? The phone portability is done during the night so that in case the service is interrupted it won´t affect you. ¿How long does portability takes? It takes about 6 working days to port the phone number to us from the moment we receive the portability document. ¿How do I port my existing phone number to Telsome? During the buying process you will have to choose between selecting a new phone number or porting your existing one. When selected Portability, a new field will be shown where you will have to enter the phone number you want to port to us. You will also have to download and fill out the Portability Document. You can send it to us by email. Port your phone number with us!